Putting on plays and musicals is a fun way for middle schoolers to work on different skills including teamwork, cooperation, and responsibility. There are many excellent short plays and musicals for middle school classes and drama clubs. Several publishing companies and dramatic suppliers specialize in providing scripts for educational and community theater productions. When evaluating titles, verify which age group the productions you are considering are designed for. Many plays designated for educational and community theater use are ideal for middle school students, but others are written for younger age groups, high school students, or adults. If you can't find information about age appropriateness in a play's description, ask a representative of the publishing company for guidance. No matter what type of play you're looking for, there's a good chance that Pioneer Drama Service will have it. This company has exclusive rights to more than 700 musicals and plays, many of which are well suited for use in middle school programs. Available titles can be browsed by category, including type, length, age group of participants, season, and more. You can search the online catalog for scripts that meet your needs. The searchable database allows you to request targeted results by entering variables such as cast size, type of production, and running time. Heuer Publishing carries an extensive selection of play scripts designed to be used in school and community theater productions. The company carries titles in several genres, many of which are appropriate for middle school productions. 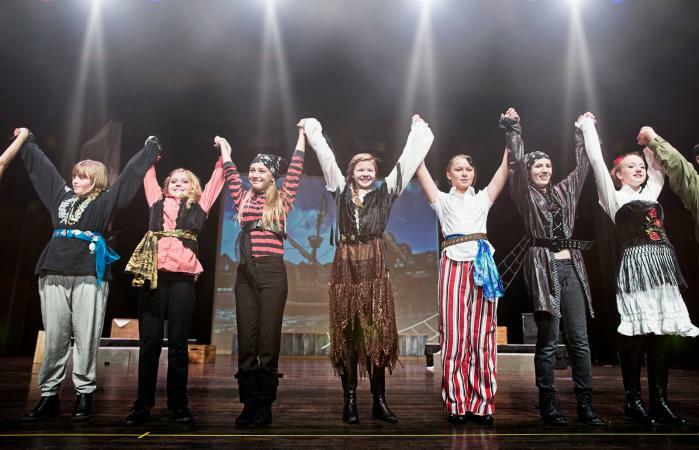 If you're going to be involved in selecting and staging a middle school play, remember that choosing a script isn't the only important decision. Before finalizing script selection, think about just how easy or difficult the titles you are considering will be to stage. Think about the expense and work involved with creating the sets and decorations, making the costumes, and other relevant factors when evaluating suitable options for middle school productions. Select a title that will be fun and educational for everyone involved, but that can also be staged without a great deal of effort or unnecessary cost.